Semnan - Tree of Life: 17' x 10'2"
Size in feet17' x 10'2"
The concept of a tree of life as a many-branched tree illustrating the idea that all life on earth is related has been used in science, religion, philosophy, mythology, and other fields including the art of carpet weaving for centuries. 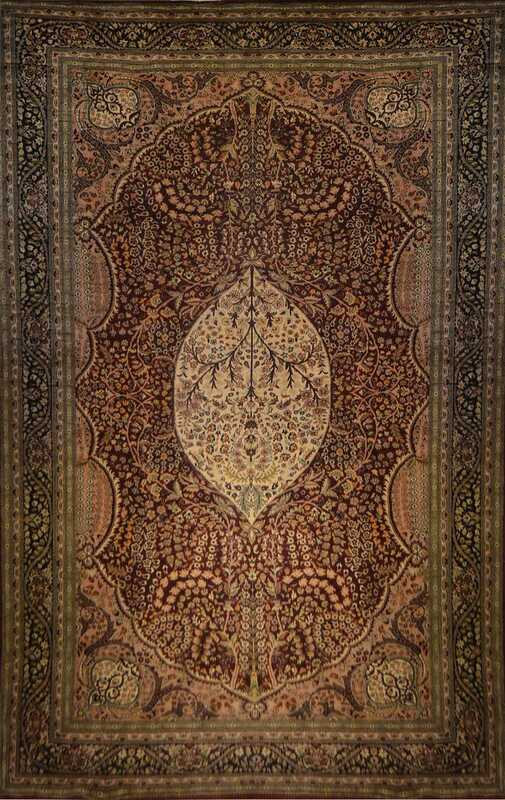 There has always been a great classical tradition of carpets depicting the Tree of Life. 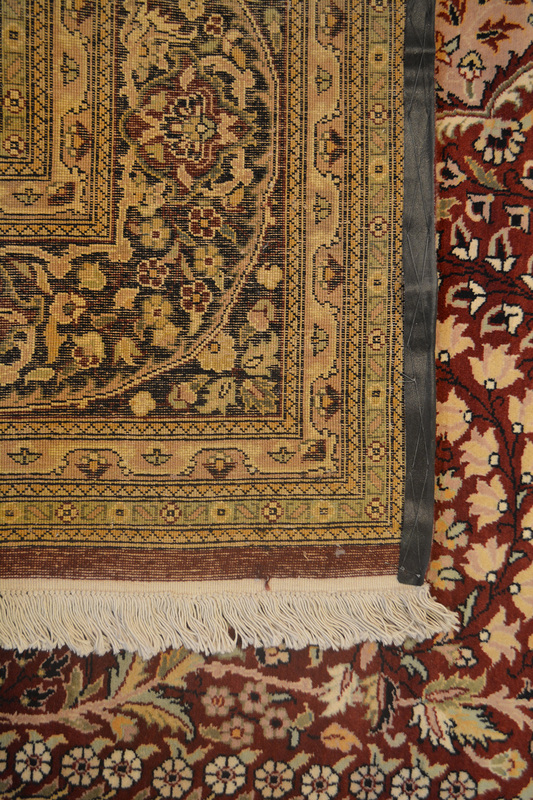 Since ancient times, this symbol in oriental carpets has represented the direct path from earth to heaven. 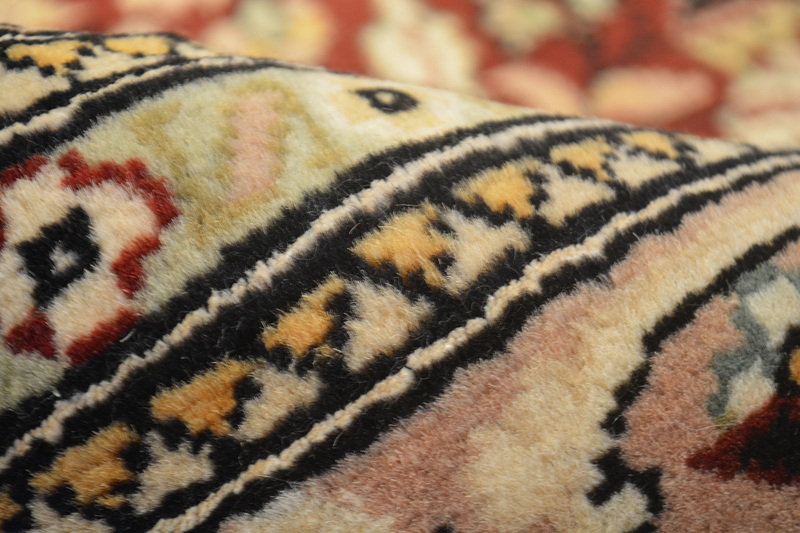 It distinguishes itself from other carpet patterns in that it is based on one of the oldest and most universal of all religious and mythological symbols in human history. Reference to a "Tree of Life" as the connecting link between the human and heavenly worlds are found in ancient cultures spanning throughout Europe, Asia Minor and the Orient. In fact, trees have always been important symbols in the religion of Jews, Christians, and Muslims. The Tree of Life is a mystical symbol used in the Kabbalah of esoteric Judaism to describe the path to God and the manner in which he created the world out of nothing. Kabbalists believe it to be a diagrammatic representation of the process by which the Universe came into being. It symbolises that point beyond which our comprehension of the origins of being cannot go. Kabbalists do not envision time and space as pre-existing, and place them at the next three stages on the Tree of Life. The Tree of Life in the Book of Genesis is a tree planted by God in midst of the Garden of Eden, whose fruit gives everlasting life, i.e. immortality. Together with the Tree of Life, God planted the tree of the knowledge of good and evil (Genesis 2:9). In Islam, the Tree of Life symbolizes the bridge between Paradise, the world of men and the world below. 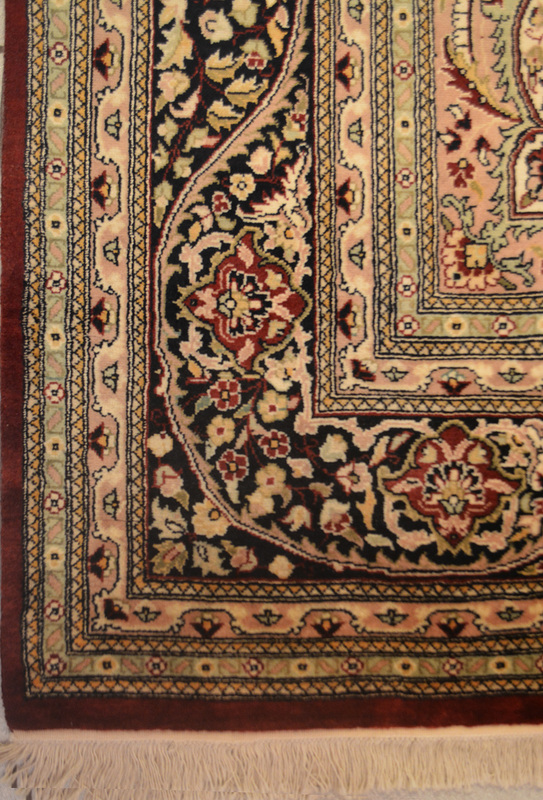 It is usually used in conjunction with a garden, vase or prayer rug design. In Baha'i Faith, it can refer to the Manifestation of God, a great teacher who appears to humanity from age to age. The concept can be broken down still further, with the Manifestation as the roots and trunk of the tree and his followers as the branches and leaves. The fruit produced by the tree nourishes an ever-advancing civilization. A distinction has been made between the Tree of Life and the Tree of Knowledge of Good and Evil. The latter represents the physical world with its opposites, such as good and evil and light and dark. In a different context from the one above, the Tree of Life represents the spiritual realm, where this duality does not exist. This symbol is also found in the Norse saga of the ash tree Yggdrasil, where the tree provides a magical spring water of knowledge. There is a similar mythology in China, where a carving of a Tree of Life depicts a bird and a dragon- in Chinese mythology, the dragon often represents immortality. Several workshop groups in Persia, Anatolia, India and Pakistan produce extremely intricate and naturalistic interpretations of the Tree of Life scheme. More stylized and geometric versions are found on a number of village and nomadic rugs from Persia, Anatolia and Afghanistan. It is also a popular field decoration on Belouch prayer rugs. 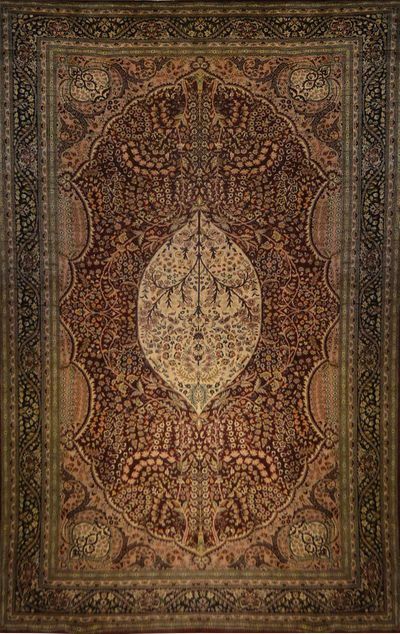 Today, the traditional Tree of Life design can be found blended with traditional Persian carpets such as Isfahans, Kirmans (Kermans), Qums, Semnans and Veramins.